Commercial Vehicle Insurance Coverage--Delaney Insurance Agency, Inc.
Commercial Vehicle Insurance is a policy of physical damage and liability coverages for amounts, situations, and usage not covered by a personal auto policy. Knowing the difference between a personal auto insurance policy and a commercial auto policy (and when you need which) is important business—for your business. This type of business insurance covers a variety of vehicles. You may also have heard of this coverage referred to as commercial auto insurance, commercial car insurance, truck insurance, or fleet insurance. 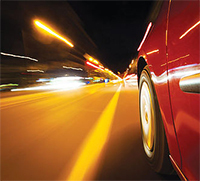 Automobile insurance coverage that insures against damage to the insured's own vehicle. Coverage is provided for perils such as collision, vandalism, fire, and theft. Coverage for bodily injury (BI) and, in some states, property damage (PD) incurred by an insured when an accident is caused by a motorist who is not sufficiently insured. Depending on the jurisdiction, UIM coverage may be written with a limits trigger or a damages trigger. With a limits trigger, UIM coverage applies when the limits of liability carried by the other motorist are lower than the UIM limits carried by the insured. With a damages trigger, UIM coverage applies when the insured's damages are more than the at-fault party's available limits. carrier policy is appropriate for all types of motor carriers—for-hire, private, or a combination of both types of operations.